If you are planning to save money on your Christmas cards this year, I’ll bet you are trimming your send list and perhaps making your Christmas cards or upcycling them. But did you know that there is another way to save? Stamps are expensive – and the prices were hiked again earlier this year, with the cost of a first-class stamp rising from 46p to 60p, and the price of a second-class stamp rising from 36p to 50p. This means that even if you are sending, say, 50 Christmas cards second-class, the postage is going to cost you £25 this year – compared to £18 last year. That’s quite some rise! You may think that the cost of a stamp is set in stone, and that when the cost of a stamp rises, we have to put up or shut up. I am delighted to inform you that this is not the case at all. 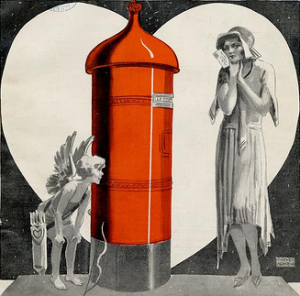 Why buy full-price stamps from the Post Office, when you can buy them more cheaply elsewhere? Honestly, you can. I was so pleased to discover this. When NOW: Pensions asked to partner with Miss Thrifty on a post about saving money at Christmas, this little tip immediately sprang to mind. Not enough people know about it! My secret? A website called CheapPostageStamps.co.uk. It’s a simple site: it sells first-class and second-class stamps, in quantities ranging from six to 100. All the stamps are sold at less than their Post Office face value. Here, you can buy 50 second-class stamps for £23.75 – a saving of £1.25 on the full price. It’s a modest amount, but it all adds up, doesn’t it? As for first-class: 50 of the large letter stamps cost £42.75, which is a saving of £2.25 on the full price. There is a minimum order of £20, and postage and packing are free. 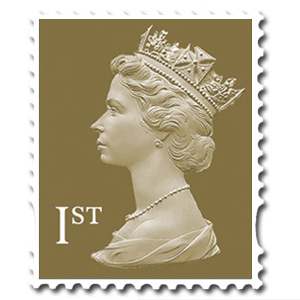 CheapPostageStamps.co.uk isn’t the only site to offer discounted postage stamps. I am recommending it here because it’s the site I’ve been buying stamps from, and I’ve found it very straightforward. My stamps have arrived in the post within a few days. Discount Stamps – stamps sold in packs of 100. £56 for 100 first-class stamps; £48 for 100 second-class stamps. Dauwalders of Salisbury – minimum order £50. A 12% discount on the stamps’ face value when you spend £100-plus. WHSmith Online – 5% off first-class and second-class stamps until 14/12/2012. Free delivery on orders of more than £15. This post was brought to you by Miss Thrifty in partnership with NOW: Pensions. With more than 45 years’ experience Now:Pensions specialises in auto-enrolment for businesses. Image credit: State Library of Queensland. I have also found that eBay is another good place to get stamps, some are very cheap as they do not have the glue backing. A glue stick solves this problem.